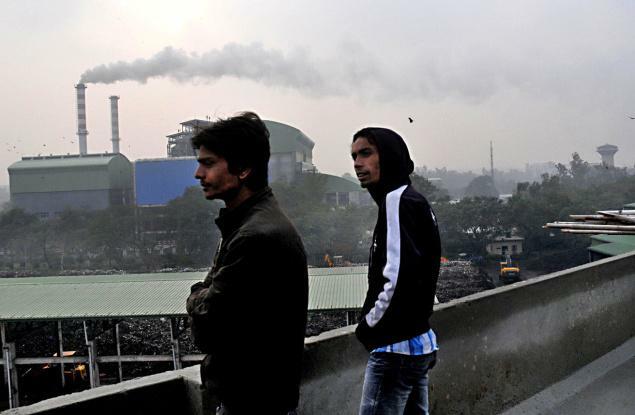 A waste incineration plant in Delhi, India has been called a ‘multi-faceted disaster’ after local groups have uncovered evidence that the project may have been fraudulently claiming carbon credits for technologies that do not exist. Over the entire period of its operation the project has faced consistent criticism and protest from residents of the surrounding areas for pollution violations including the release of dangerous dioxins. The incineration plant is radically different to the original plan approved by the Indian Ministry of Environment, Forest and Climate Change (MoEFCC). The original plans included the establishment of an integrated Municipal Solid Waste Plant (MSWP), an industrial complex that would include two Refuse Derived Fuel (RDF) plants, a bio-methanation plant and a waste-to-energy incinerator plant. This plan would in itself have been a disaster, and was strongly opposed from the outset by local residents and environmentalists as an unsustainable waste management plant. However, the reality of the project falls well short of these original plans with the absence of the Bio-methanation plant and Refuse Derived Fuel plants. 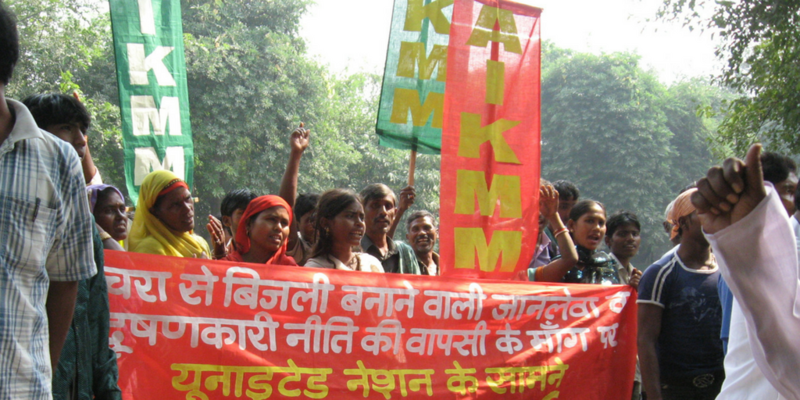 Originally approved on the basis that the project would avoid the need for landfills, which are a major social, health and environmental problem in India, the Okhla incinerator project has been allowed to claim carbon credits from the UNFCCC (under the former Clean Development Mechanism) for claimed, yet unproven, GHG emissions reductions. Local residents, concerned about the health impacts of the incinerator have voiced strong objection to the project, and have gained the support of two major hospitals in the area. In 2009 the Timarpur-Okhla Waste Management Company (responsible for running the project) was taken to the Delhi High Court over claims of toxic emissions of heavy metals and dioxins several times the permissible limit, since then the case has been heard 28 times in the High Court and in 2013 the case was transferred to the National Green Tribunal (the fast track court for environmental cases) where it has been heard a further 21 times. The project was originally received with strong criticism and opposition from the local and international community due to its poor climate credentials, in the context of increased questioning over the Energy Policy agenda in India. Scandalously, the project proponents have failed to deliver the very technologies that would supposedly assist in reducing GHG’s and utilise the resources contained in the waste stream in a more ecologically sustainable way. Instead, lesser quality and more polluting technology components have been included such as ‘Chinese Stoker Boilers’ which have been associated with massive protests across China. The case of the Okhla incinerator seems to be a key example of misdirected carbon credits. The plant which claims to process 2,050 tonnes per day of Municipal Solid Waste (MSW) has been accused of submitting a false monitoring report to the UNFCCC by including the bio-methanation and RDF plants in the Validation and CDM Monitoring reports when this technology is not actually included in the plant. This has sparked outrage from environmental groups and local citizens in India who have launched a petition to the UNFCCC CDM Board. The petition calls for an immediate investigation into the plant, compensation for local residents and assurance that future credits will not be allocated to such polluting projects. Waste burning technologies are often misleadingly classified as generators of “renewable-energy” and are therefore categorised as a way to reduce greenhouse gas emissions. This is based primarily on the flawed accounting method for the burning of the organic portion of waste whereby it is claimed that ‘emissions of CO2 of non-fossil origin can be ignored’. This is simply untrue. The atmosphere simply does not differentiate between sources of GHGs. Zero Waste Europe’s report ‘The Potential Contribution of Waste Management to a Low Carbon Economy’ demonstrates that ‘the only correct way to proceed is to account for emissions of all greenhouse gases since they all have ‘warming potential’, irrespective of their origin’. With incineration sitting firmly at the bottom of the waste-hierarchy it is clear that waste-to-energy incinerators such as the Timarpur-Okhla plant are net contributors to climate change. Their categorisation as ‘renewable-energy’ is based on a flawed accounting method which ignores the true climate impact of emissions from the burning of organics. There are well documented and serious health impacts from waste to energy incinerators which emit heavy metals (such as lead & mercury) and dioxins which are classified persistent organic pollutants (POPs) and banned under the Stockholm Convention. POPS pose a global threat to human health and the environment due to their specific characteristics. They are toxic and persistent in the environment, can travel long distances and accumulate in the food chain.The promotion of waste incineration, the second largest emitting source of dioxin, is contrary to the intent of the convention. Research has shown that for those living close to incinerators the risk of sarcoma (a type of cancer) is 3.3 times higher than those who do not live near a plant. The risk extends to other types of cancer, miscarriage, birth defects and preterm births as well as heart and respiratory disease. In India it is estimated that 1.59 million premature deaths happen every year due to air pollution. The trade in carbon credits has consistently been shown to undermine European climate and waste policy, directing climate finance towards dirty-energy projects. The carbon market is regulated through the UN’s Clean Development Mechanism (CDM), which is a greenhouse gas emissions offset scheme created under the Kyoto protocol. The scheme involves the trading of carbon credits called Certified Emission Reductions (CERs). The CDM is supposed to encourage sustainable development and help reduce overall emissions, however as GAIA (Global Alliance for Incinerator Alternatives) have noted the CDM frequently ends up supporting dirty energy, incinerators and landfills in the Global South, often far worse than would be permitted in the Northern countries. A replacement for the CDM was agreed upon at the COP21 in Paris, and will be negotiated at the COP22 in Marrakech in November. In Europe the trading of carbon credits issued by the CDM has been regulated by the EU Emission Trading System (ETS) legislation which allows member states to purchase the credits. This has seen landfill gas systems, and waste incinerators, both at the bottom of Waste Hierarchy, sell credits into the EU market, undermining progressive EU legislation on waste. With the Paris treaty being agreed last December at the COP21 summit, a new offset mechanism is being developed. The Sustainable Development Mechanism (SDM) aims to supersede the CDM and ‘contribute to the mitigation of greenhouse gas emissions and support sustainable development’. Many aspects of the SDM are currently undefined and will be clarified at the COP22 summit taking place in Marrakech, Morocco in November. Critical to the success of the Sustainable Development Mechanism will be the credibility and reliability of ‘sustainable development definitions’ particularly related to waste management. It is therefore essential that any future definition excludes landfill gas systems, and waste to energy incinerators including cement kilns burning waste, from generating credits. If such a definition is adopted it will prevent a repeat of the cases where EU member states effectively supported waste management projects which would not have been approved in their own countries. The case of the Timarpur-Okhla waste-to-energy incineration plant demonstrates why it is so important that the future of carbon trading accounts for the climate and social impacts of waste management technologies. Furthermore, the social and environmental justice of communities in the global south must be upheld and protected from the misguided trade of carbon credits and false carbon accounting related to any UNFCCC subsidised waste management project. It is clear that any future implementation of emissions trading in Europe needs to ensure compatibility with existing EU legislation on waste, giving primacy to the waste-hierarchy and ensure that the projects can demonstrably prove their GHG emissions reductions. Anything less simply risks repeating historical and colonialist approaches to well intentioned aid and support for developing nations.